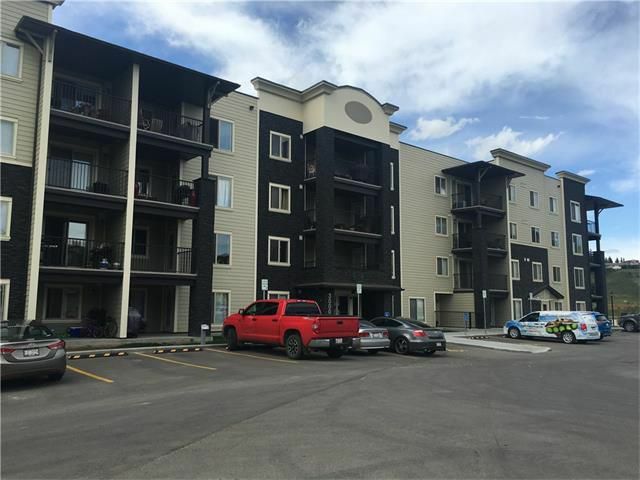 Welcome to 3206 - 625 Glenbow Drive in lovely Cochrane! The LAST BRAND NEW UNIT AVAILABLE in this complex. This unit is the Evolution lll floor plan with 2 bedrooms + a Den, with 2 full bathrooms (including ensuite), and a modern open concept living space. $8500 worth of upgrades including, Granite countertops, Real wood soft-close cabinet doors, vinyl fiberflooring and Stainless steel appliances. Enjoy the comfort of in-suite Laundry, 1 TITLED UNDERGROUND PARKING STALL in heated parkade, and a sunny east balcony. Ideally located in the heart of town, equally convenient to town amenities as it is to walking paths, Cochrane Ranche Park and Big Hill Creek. Make your appointment to view today!